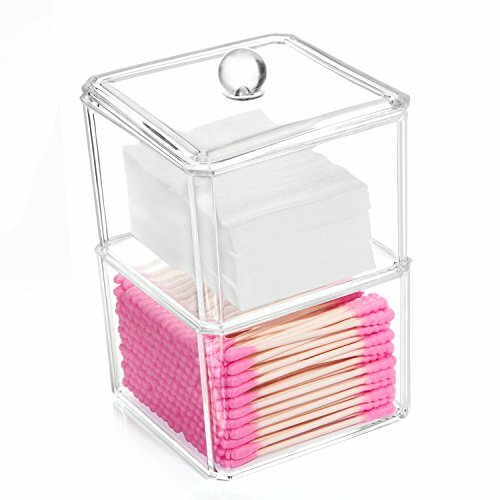 STACKABLE DESIGN - This Clear Acrylic Cotton Ball & Swab Storage Case is designed as a stackable box. It allows you eliminate clutter and save space. You have the option of placing them at various points around your home or stacking them to make the best use of your space and create more room in your space. STRONG DURABLE CONSTRUCTION - This professional cotton ball and swab holder organizer is composed of a very strong acrylic material with excellent weather resistant and much stronger than glass, which ensures its durability and security from injury and breakage. MULTI-PURPOSE USE - While our vanity storage case is intended for bathroom cotton swabs, Q-tips, make up pads, cosmetics and more,It is extremely versatile and also can be used to store school supplies, office supplies, household tools & more. NEVER OUT OF STYLE: Sleek design in clear. Organize cluttered drawers and saves space on your vanity tabletop. Perfect makeup storage unit for makeup users and professionals. 100% MONEY BACK GUARANTEE - 30 days of money back and a year of warranty with friendly customer service.Please feel free to contact us if any problem. Tired of looking for those little hair accessories? Out of space in your vanity or bathroom drawers? 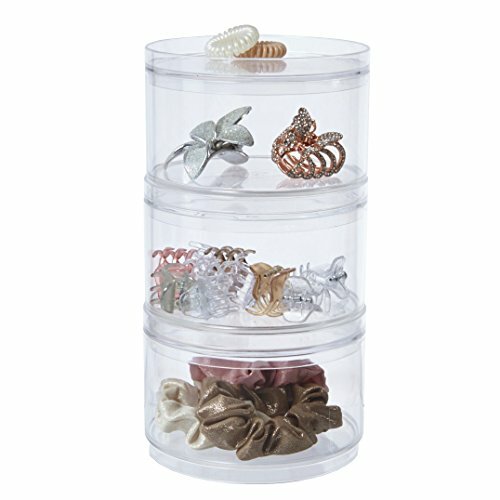 These stackable acrylic hair accessory compartments with 3 removable lids are your organizational solution! Fill each of the 3 containers with barrettes, hair clips, bobby pins, ponytail holders, scrunchies and more. Each canister has its own lid. Stack vertically to save space or use them individually. Great organizer for girls' bathrooms! Clear acrylic fits in any d cor. Made in USA. Give your dry goods an upgrade with this set of ceramic canisters. 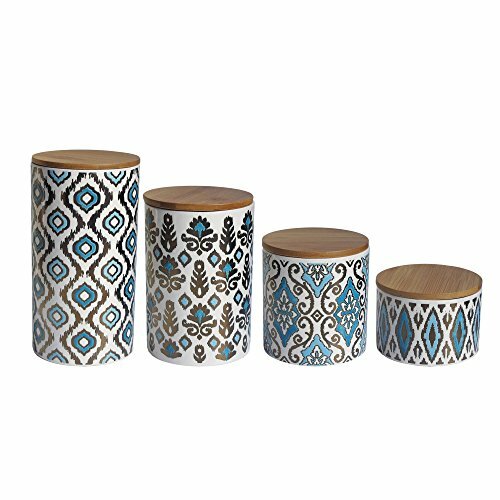 This American Atelier Canister set will bring beauty to any countertop, hiding away your goods while keeping it well within reach. These American Atelier, covered canisters come in a set of four in varying sizes to suit all of your kitchen storage needs.